The Williams Firm’s leasing transaction attorneys have substantial skill and experience in all aspects of commercial and residential leasing practice. If you need assistance with the preparation or negotiation of any type of commercial or residential lease, The Williams Firm can assist you with such lease transactions. The leasing transaction and landlord tenant attorneys at the Firm have substantial experience in the preparation and negotiation of retail leases, office leases, ground leases, oil, gas and mineral leases, cell tower leases, subleases, assignments of leases, and assumption agreements. 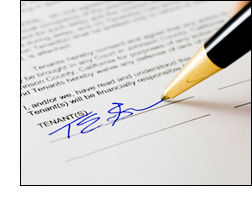 The leasing transaction attorneys at the Firm also have significant experience in the preparation of real estate documents related to lease transactions, including attornment and nondisturbance agreements, listing agreements, easement agreements, rules and regulations for tenants, CC&R’s or covenants, conditions and restrictions, amendments and addendums of leases. The Williams Firm’s leasing transaction attorneys will explain the leasing process, advise you concerning what is typical in the industry, and guide you through the often complex lease agreements for your retail, commercial or residential lease. The Firm also has substantial expertise and experience in related fields that may have an impact upon your lease transaction, such as the formation of a business entity before entering into a lease and other business transactions. Please contact a leasing transaction attorney at The Williams Firm to discuss your leasing transaction needs. If you need the services of a qualified leasing attorney to prepare or review a lease or an aggressive law firm to represent your interests in a lease dispute, please contact a landlord tenant attorney at The Williams Firm to arrange a free one-half hour consultation.